World of Warcraft is releasing another update called Rise of Azshara and there's a lot to coming up for us! 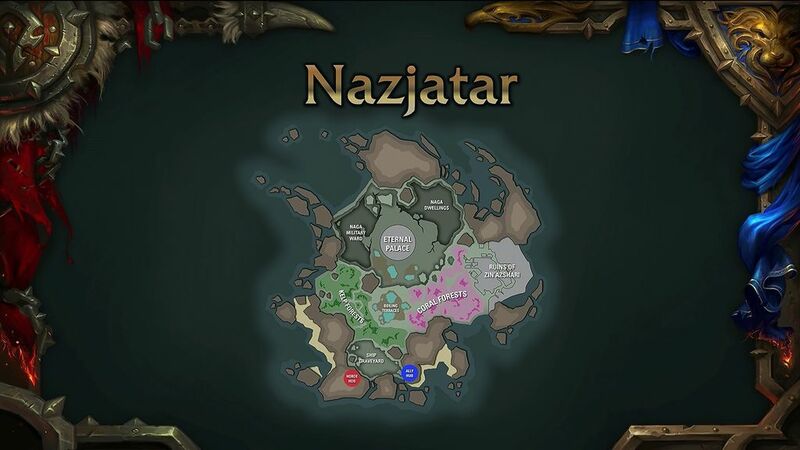 First off there is a new zone to explore called Nazjatar which is the home of an ancient night elf people, inside the region you'll find the lost city of Zin-Azshari, it used to be submerged in the sea but has since emerged and you can be sure it'll give you lots to explore. If you're looking for a gnome-themed zone then Mechagon Island is coming where you can battle it out with King Mechagon who wants to get rid of the "curse of flesh" from Azeroth. We also have the continuation of the war campaign with the story playing through to the next steps, focusing this time on Blaine Bloodhoof who is captured within Orgrimmar. Don't forget the new raid coming up too called Azshara's Eternal Palace, it's an eight boss raid and takes you far into Nazjatar including an underwater boss fight and a battle with Queen Azshara! The Robodrome is introduced in the update too which is a gnome-themed Arena, it will move into the competitive PvP scene too. There are new Tauren and Gnome heritage armour, two new islands to explore one of which is Crestfall and it's been taken from a Warcraft II map. There is also World of Warcraft's first "Herioc Warfront" called Battle for Stromgarde, you'll need to protect your resources from hordes of AI opponents. The Pathfinder Part II is being rolled out too for you to unlock, in doing so you'll get a Mechanical Parrot flying mount for getting that achievement and I know it's pretty high on a lot of peoples list to do.